Carrying out repairs of the bathroom, many are guided bypracticality and functionality of the interior environment. At the same time, the creation of an atmosphere conducive to relaxation and comfort, plays an important role. It is in this room, we start the morning and end the day. 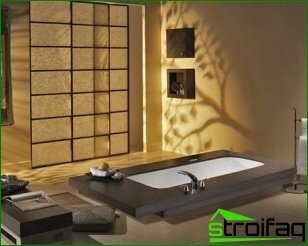 Also bathroom in oriental style It gives an unforgettable feeling of elegance and satisfaction. When making a room in oriental stylethere is a classification in the Arab and Asian direction. For their design using various design decisions. However, each of them trying to create a special space harmony. Arabic style will create a kind of flat hygiene purity sanctuary. His is a riot of color, saturation of decorative details, as well as mosaic and color play. Especially mysteriously looks a bathroom inthat recreates a fantastic atmosphere. 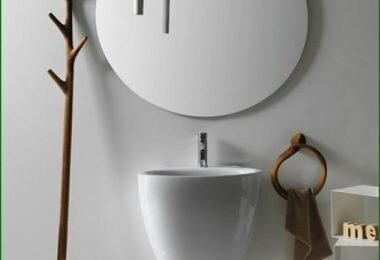 For this purpose, plumbing accessories streamlined forms. Originally looks bath, recessed into the floor surface. Its bumpers can be decorated by ceramic tiles or mosaics belonging to the Arab style. The same stylistic affiliation should be characterized by furniture. For its manufacturing can be used natural wood, decorated with Arabic ornaments and carved patterns. Bathroom in oriental style It involves multiple sourcesSveta. Okay, so you can always adjust the light intensity. A good solution will become fixtures, inserts which are made of glass of different colors. Arab bath characterized by forged products with an openwork design, there will always be a place for vases, mirrors and all kinds of stylish products that will help to give the interior a finished look. The main finishing material for this room is a tile in the Oriental style. To finish the bath used in the Arabic stylehigh quality tiles. It will help to plunge into the wonderful atmosphere of puzzles and mysteries. The material of this style contains oriental decor, typical Arab culture. 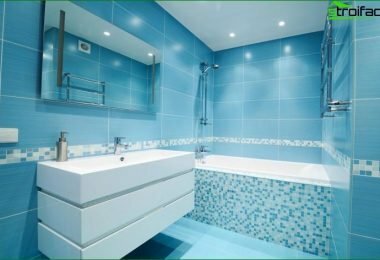 Through the use of a ceramic tile, you get a bright cheerful interior. Eastern tile is not peculiar monotony, but the ornaments - it is a permanent decoration. 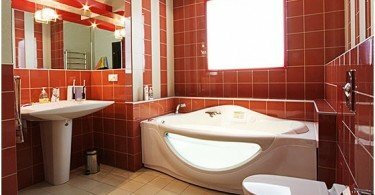 Bathroom in oriental style involves the use of red, turquoise,yellow and green colors. Okay, so some of them had to figure decoration of walls. Due to the unique image tile acquires a characteristic oriental refinement. He is characterized by medium-sized images, as well as contrasting images. 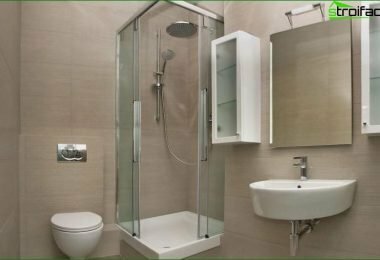 When using tiles eastern achievedspecial effect, whereby a bathroom visually becomes more spacious. Mosaic also complements the room, giving it a special oriental flavor. With its help carry the cladding. You can lay out the original panel, consisting of brightest elements favoring gloss. A good option would be to use tiles to the walls, creating a perfect imitation of the mosaic. 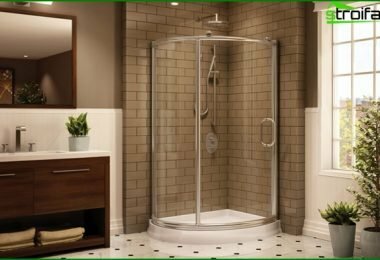 With it, you will be able to complete the bathroom design in the Arab style. To make the floor will be an excellent optionUse eastern tile. Okay, so it was bright and different monochromatic surface. Its use will help identify profitable expressive surface of walls. 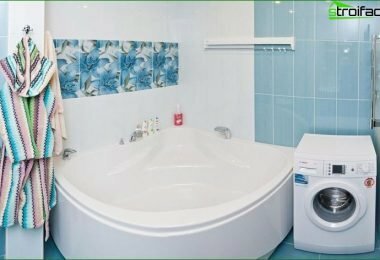 Oriental style can help to achieve specificsophistication in the design of hygiene room to make its interior a cheerful and invigorating. In its implementation it is important to try to avoid the mixing of styles because eastern motifs is not typical.